The University of California at Los Angeles is changing the focus of its master’s-degree education in moving-image archiving, and the move signals evolution in employment opportunities for graduates. Less film theory, less confusion between cultural-studies and archival-studies components, and more attention to emerging career opportunities, underpins the new formula. 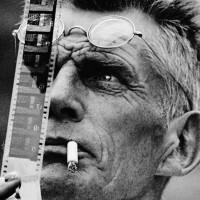 A noted film archivist's NOTFILM presents his meditation on one of the most surprising of cinema collaborations: Samuel Beckett's only film, starring Buster Keaton in an unfamiliar role.